Which is why the idea of an introductory news conference Friday to formally coronate the new coach of the Giants was an unnecessary formality. No introduction was required. He knows us, we know him. Even the clocks are staying the same. They will continue to run five minutes fast, McAdoo said, as a tribute to his predecessor, who famously set them that way and insisted they not be corrected. In fact, the only discernible difference in the Giants is Tom Coughlin’s absence. And he’s not even completely gone. After three losing seasons that co-owner John Mara said “tears me up,” the Giants aren’t gutting the place. So far, it feels like a spring cleaning. All they’ve done is put the antique into storage. Us . . . minus Coughlin. Or maybe with him, too. Mara again said he hopes to keep Coughlin in the organization in some capacity now that he appears to be out of options to coach elsewhere. McAdoo said he’d welcome having him around. Coughlin was even at Giants headquarters Friday for his morning workout. All of which further illustrates the belief that it wasn’t a coaching failure that led to the dismal 2015 season, even if that happened to be the casualty. Tisch spoke about having “continuity” with the McAdoo hire, but is that what the franchise needs after three losing seasons and four without a playoff berth? Just maybe not all that different. 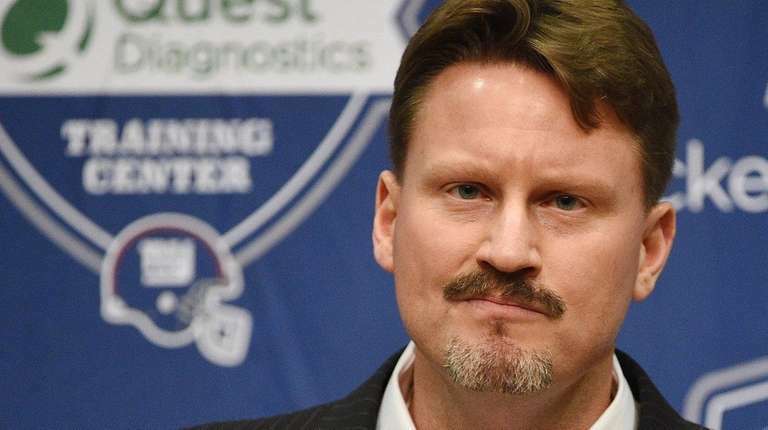 McAdoo hit many of the right notes in his first news conference, even if it was through a somewhat monotone delivery. He spoke about his philosophies on leadership, his goals on the field and what he wants from his players. He deflected the idea that, at 38, he is not seasoned enough for this job and even said that, contradictory to his somewhat meteoric rise through the coaching ranks, “it took too long” for him to reach this point. McAdoo will shake a few things up. He’ll have a fresh perspective on why injuries have been such a factor for the Giants in recent seasons. He said he’ll change the schedule a bit, even during the season, to relieve some of the doldrums of a 17-week voyage. He’ll certainly put his fingerprints on other areas not always viewable by the public. The big changes for the Giants, though, if they do come, will take place during the next few months and not in these first two weeks of the offseason. The roster needs to be overhauled, particularly on defense. McAdoo comes from a Green Bay system in which free agency is seen as a vice, and Mara seemed to like that build-through-the-draft mentality. Given the Giants&#8217; recent draft history, though, there have not been many blocks with which to build. Mara said discussions will continue about changes in the personnel department in terms of structure and philosophy. He said McAdoo will have as much of a voice in the decision-making as head coaches with the Giants have always had, working closely with general manager Jerry Reese. Mara said he believes the people in the building can win a championship, if for no other reason than they have done it before. That rationalization is getting weak, though, even for the man who keeps leaning on it. Just don’t call what happened in the past two weeks a revolution.